ALS Technical Expert Geraint Williams was proud to be involved in this unique biomonitoring study of residential soils to investigate the lead levels present and how this affects human health. Geraint worked as part of a team including representatives from Northumbria University, Newcastle University and Newcastle County Council. 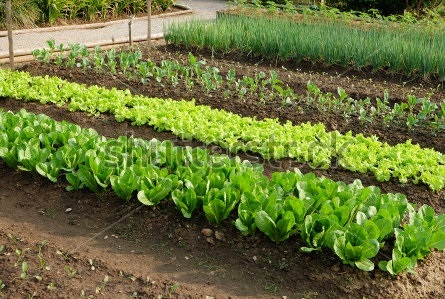 Urban residential gardens and allotments frequently contain raised lead concentrations in soil. This is sometimes the result of previous industrial use, but also results from years of use of coal fire ash as a soil improver and ash from bonfires containing old window frames coated with lead paint. Between 2002 and 2010 detailed quantitative risk assessments were carried out on Newcastle upon Tyne’s allotment gardens including plant uptake of lead and soil lead bioaccessibility. Newcastle City Council concluded that, on balance, gardening activities and consumption of vegetables from these sites was a greater benefit than risk to health. However, the introduction of the Category 4 Screening Level (C4SL) of safe lead levels in allotment soil of 80 mg/kg was 10 times lower than many allotment soils in Newcastle and other urban centres. NABS set out to determine the relationship between concentrations of lead in garden soils and bloods, and to answer the question of whether allotment gardeners using plots with raised soil lead concentrations had blood lead levels (BLLs) of concern to health. A steering group, including specialists from Newcastle University, Newcastle City Council, Northumbria University, Public Health England (PHE), Food Standards Agency (FSA), Environment Agency (EA), Health and Safety Laboratories (HSL) and Northumbria Water Ltd (NWL), designed the study and prepared communications for potential results. They selected a safe blood lead concentration of 5 ug/dl for adults in line with recommendations in California and Australia. Study participants were recruited from three Newcastle allotment sites. Gardeners (n=44) recruited non-allotment gardening neighbours as controls (n=29). Participants provided blood and saliva samples and helped the team collect soil, vegetable and fruit samples from their plots. To account for confounders, participants provided tap water samples, home dust samples, atmospheric deposition samples and completed a questionnaire on potential exposure factors. It was found the BLLs for gardeners (median 1.55, P95 3.7 ug/dl) were slightly higher than those of controls (median 1.3, P95 2.9 ug/dl) when taking confounders into consideration, but crucially the concentrations were not of concern to health for adults. In line with the CLEA model, we found the bioaccessibility of soil lead to be around 60%. The focus of NABS 2 is to provide up-to-date information for lead exposure on allotments to support the derivation of C4SLs using the UK CLEA (Contaminated Land Exposure Assessment) model. Estimations currently used in the CLEA model have resulted in an impracticably low lead screening concentrations for allotments, putting sites at risk of closure. Three key areas where new data would be most helpful are (1) Soil to vegetable uptake factors, (2) Children’s fruit & vegetable consumption rates including % home grown fraction, and (3) Children’s’ use of allotments. ALS support, in terms of analysis of the vegetable samples, along with sponsorship from the Society of Brownfield Risk Assessment (SoBRA), will enable investigation and reporting of new data for use in the CLEA model with respect to soil to plant uptake factors. For more information about Contaminated Land analysis or any other enquiry, please Contact Us, Request a Quotation, or call the Hawarden office directly on 01244 528 744. Whitley junction is a main commuter route in Coventry. Yorkshire Water supplies water and sewerage services to 4.7 million people and 130,000 businesses. A recent project analysed over 50 sample points at Lister Hospital. The Rothley Valley Trunk Sewer project was a six month study of the sewer systems in West Leicester. The company supplied testing of parameters for chlorine, phenols, cyanide, PCBs and VOCs on site. ALS Environmental was commissioned to undertake wastewater chemical analysis of the storm related CSO effluents. We had potential water quality problem due to the actions of a third party and needed samples taken as a matter of urgency. Although this was outside the strict terms of our contract with ALS they were able to provide a sampler on a Friday afternoon, get the samples taken and returned to their labs for analysis. They backed this excellent performance up by emailing us the sample results over the weekend. All in all a great piece of customer service!